Holidaymakers and business travellers have been warned about the importance of taking measures to protect themselves against rabies, particularly when travelling to Africa, Asia or Latin America. International SOS claim that most cases of rabies are found in high-risk developing countries, such as Brazil, China, India, Indonesia and Thailand. Although most cases of the viral disease are contracted when bitten or scratched by an infected dog, rabies can also be caught from contact with other rabid animals including cats, monkeys, wild bats and foxes. Joggers, cyclists or travellers who plan on being outside for extended periods during their stay abroad are advised to consider vaccination before they depart, as cases of rabies can be fatal and effective vaccination in developing countries is in short supply or simply not available, which could render medical travel insurance ineffective. Dr Jonathan O'Keeffe, medical director at International SOS, said: "We strongly recommend travellers and expatriates to get vaccinated before they go to countries where the disease is endemic. Longer-term visitors are at particular risk. So are children, who are more likely to pet stray animals. 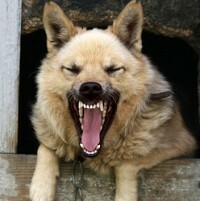 If a possible exposure to rabies occurs, treatment is needed promptly, the sooner the better. Pre-exposure vaccination is essential to prevent the disease."